For many, Gabriel García Márquez's expansive One Hundred Years of Solitude was their first exposure to Latin American literature, an introduction that, for better or for worse, raised the bar incredibly high. Which isn't fair, really, since García Márquez is a writer of extraordinary talents, and this, his second, and best, novel, is truly remarkable. 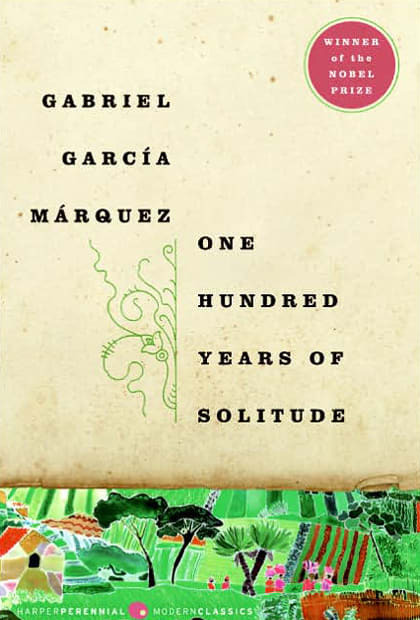 One Hundred Years of Solitude depicts every high (family bonds, sparked love connections, ascension into heaven) and dire low (civil war, suicide, widespread insomnia) encountered by the Buendía family, living in the fictional land of Macondo. García Márquez handles every event with such consistent expertise that the shifts from realism to fantasy are never jarring; rather, they're seamless. Fun Fact: For years, García Márquez's non-secretive views toward US imperialism led to his visas being denied by US immigration officers, but when Bill Clinton started his presidency, he changed that ruling. Clinton also said that One Hundred Years of Solitude was, at the time, his favorite book.